Based on Chinese lore, the video slot game of Happy Golden Ox of Happiness created by Real Time Gaming is a simply illustrated yet interesting game for both new and more experienced players alike. Featuring 50 paylines spread evenly over five reels, the game was released six years ago in 2009 and though it is not one of the more sought after RTG slots, it does give a sense of celebration with its symbols that are indicative of the Chinese New Year. These include the fans, the firecrackers, the golden ox, Chinese lanterns and more, but you’ll have to check them out yourself the next time you visit Yebo Casino to play the game. Players can place both low and high bets on the reels which makes this game a perfect one for those who are more careful with their wagers and those who like to splurge. There’s a top fixed jackpot for all players of 8 888 coins which is another smart tie in to the theme, since the number eight is considered quite lucky in Chinese culture. To get that fixed jackpot, you’ll need to look out for the golden ox, which is also the wild symbol, and should he appear to complete any winning combination, will assist in upping the payouts significantly. 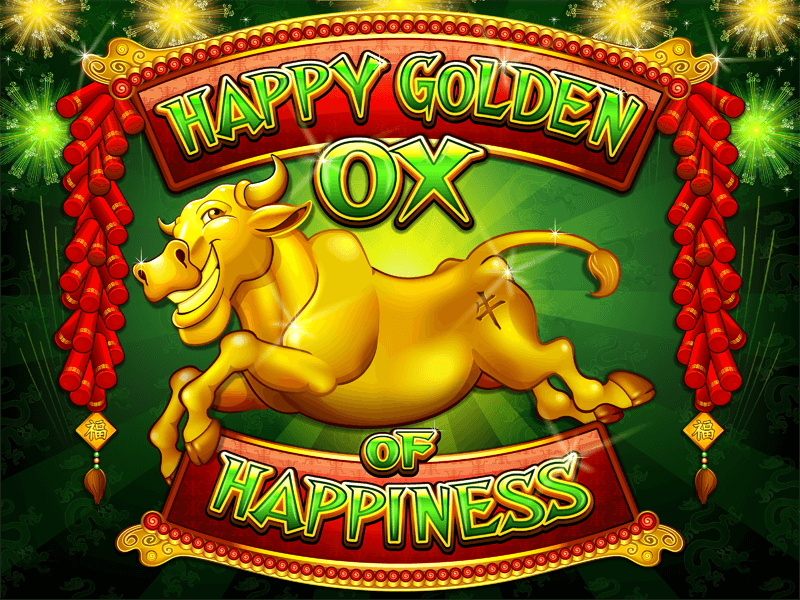 As for the progressive, the game offers a generous jackpot for those who manage to line up five of the golden oxen. At last count, the jackpot was sitting at about R200 000 so best you grab it before anyone else does. If you’re looking out for the scatter symbol, you’ll find it in the Year of the Ox illustration. This scatter has a lot to offer players, because it will open up a free spins feature with a multiplier of up to three times your payout. Any money you win during the free spins will be also multiplied, but keep in mind that you won’t be able to trigger the progressive during your free spins. This is for paid spins only, so you’ll only be able to access the fixed jackpots. If you’ve taken the time to get to know the game and you want to do something else, you can still play and win without even having to be there. The game has an autoplay feature which allows you to set up certain parameters and have the game play on your behalf. Thee parameters can include how much you want to bet, how many spins the game should allow for or even an amount of coins you want to win. As soon as the game hits your parameters, it will automatically stop. Overall, this is a game that is ideal for all types of players from the very new to the very experienced, mostly because it requires very little investment for a potentially large win. Though it has only a few special features, a simple design style and basic sound, this is a great game for passing the time and getting a little cash too.